Item was in the possession of Pauline Mary (Alward) Spatz, and kept in her home until transferred to the Tantramar Heritage Trust in 2006. 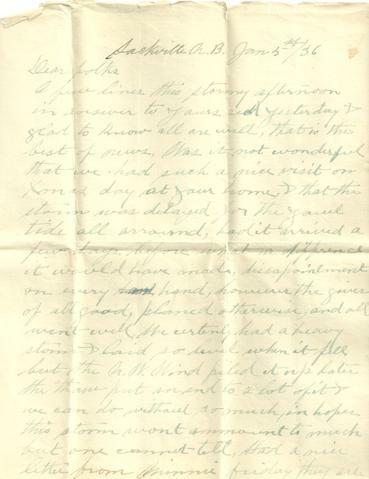 Item is a letter to “Dear Folks”, sent from Sackville NB on January 5, 1936. The letter is signed, “from Home Dad – with love to all," probably from John Willard Wry.